Where's the monkey? I dunno - FIND THE MONKEY! 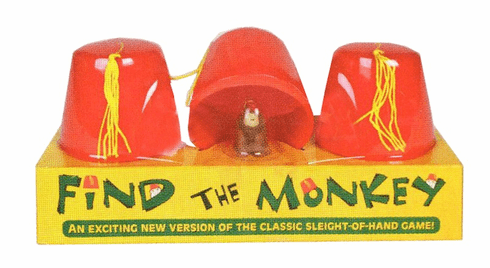 Each game comes with a 1" tall monkey and three 2" tall fezzes. Illustrated display platform with clear acetate cover.